Beat the January blues with our special offer! For a limited time Ashford Outdoors are offering this incredible experience at the reduced rate of €125pp (2-person minimum). Perfect your off-road skills in our wonderful fleet of Land Rover vehicles on our purpose built off road driving course. This incredible offer expires on February 28th, 2019 so BOOK NOW! Challenge yourself behind the wheel on Connemara’s famous rugged landscape, from boggy hills to rock crawls and water crossings - all with breath-taking views. Perfect your off-road skills in our wonderful fleet of Land Rover vehicles. 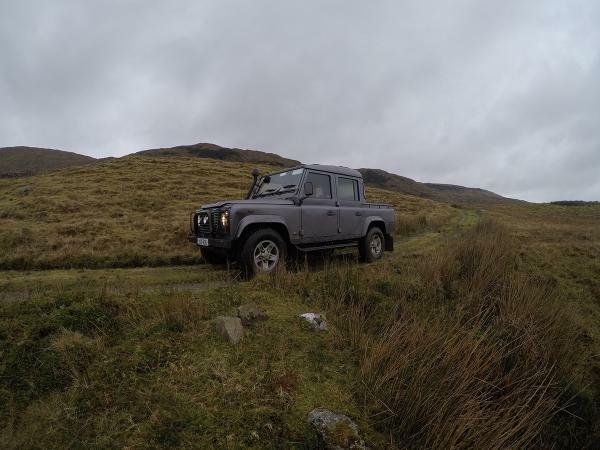 We can offer individuals, families, groups and businesses a unique and exciting way to learn the skills necessary to tackle some of the most challenging terrain and introduce you to the exhilarating world of off road driving. 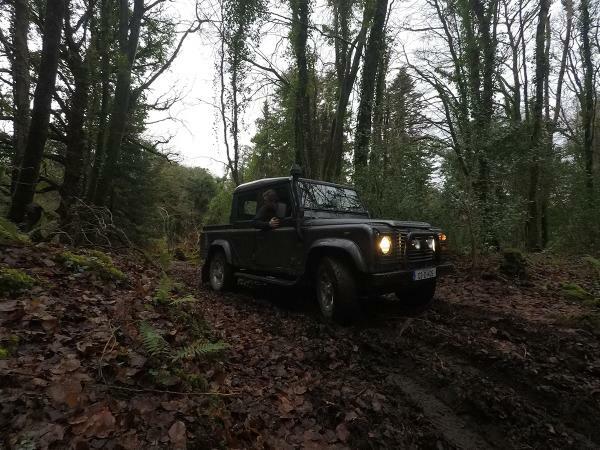 Situated on the Ashford Estate and nearby deer park of Deroura, we have two off road courses that have been designed by Ireland’s leading off road specialists. Each of our courses include natural and purpose-built obstacles including steep climbs, technical descents, water splashes and custom challenges to test your driving skills. However, this activity is not just about action and adventure. The picturesque setting ensures that this is an experience you will never forget. We guarantee a warm welcome and our experienced and qualified guides can tailor your experience from basic to advanced levels of driving or we can create a bespoke package to meet an individual or an organisation’s needs. Drivers must be a minimum age of 21 years old and hold a valid driving licence.